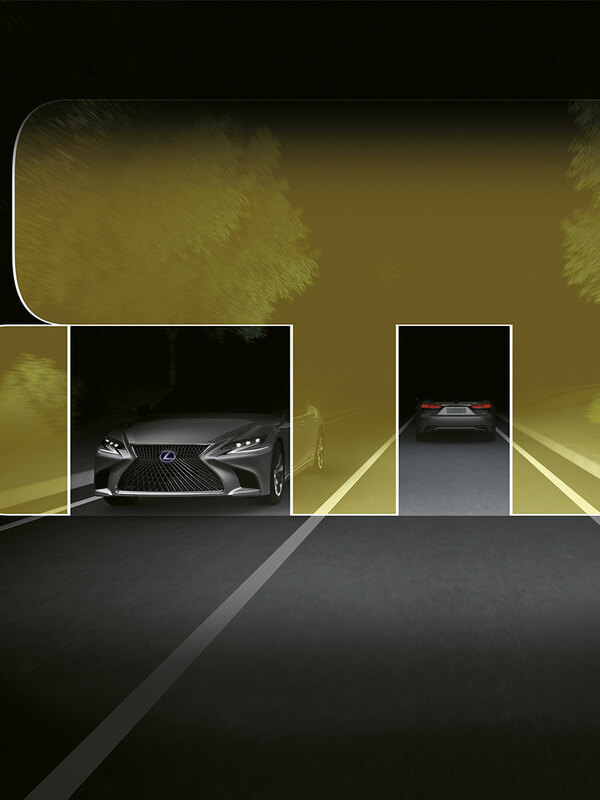 An evolution on the concept of Automatic High Beam, Adaptive High-Beam senses the road and reacts to it. 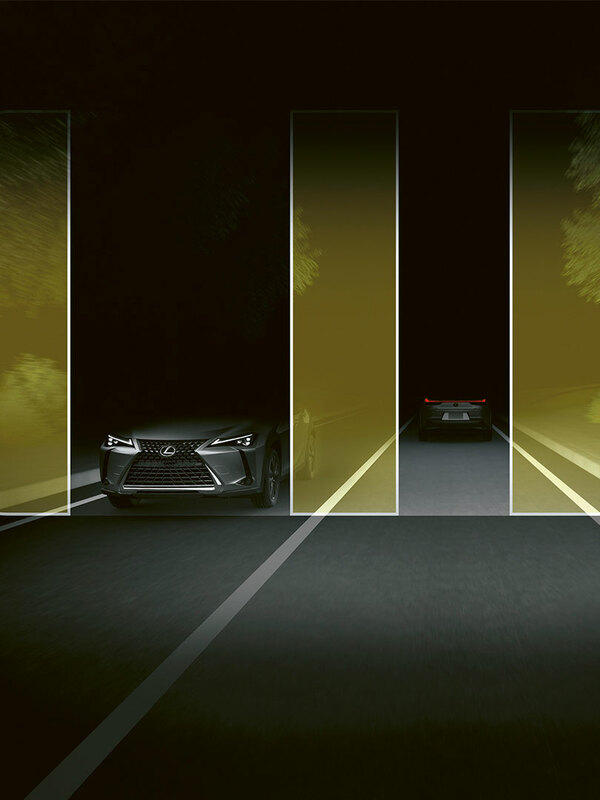 Perfectly balancing the need for visibility and consideration for other drivers, Adaptive High Beam brings a new level of comfort to night-time driving. Adaptive High-Beam intelligently enables and disables individual LEDs within each headlamp for precision control over the distribution of light. The system uses a camera on the top of the vehicle, to detect light from vehicles in front and smoothly illuminate the road ahead, while avoiding preceding or oncoming vehicles with pinpoint accuracy. This allows drivers to enjoy their most vividly lit night-time drive, providing exceptional visibility while delivering calmer driving conditions, without the need to repeatedly alternate between high and low beam. Two-Stage Adaptive High-Beam System is a further enhancement on the Adaptive High Beam System, allowing for greater light beam control. The headlamp’s 24 independent LED chips spread on two rows are switched on and off for precise control of illuminated and non-illuminated areas, allowing the light to be dimmed around a vehicle in front while still illuminating a street sign above the vehicle.